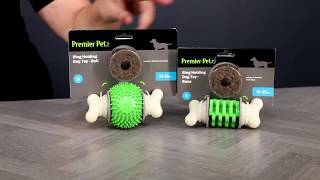 The Premier Pet™ Treat and Chew Dog Toy Value Pack keeps your dog entertained with three different toys, providing multiple ways to have fun. The Ring Holding Dog Toy encourages your dog to chew on it with rawhide chew rings. Four chew rings are included to use with this toy and they are easily attached by unscrewing the ends, placing the rings on the posts and screwing the ends back on. The Treat Dispensing Dog Toys are ball shaped with an opening to insert small treats or kibble. 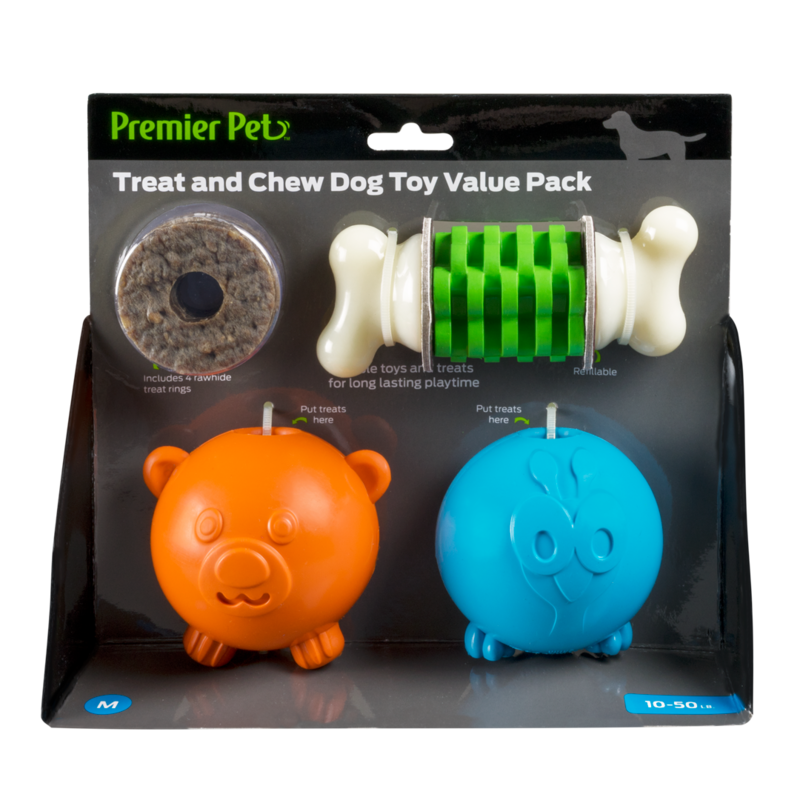 These toys feature our patented Treat Meter™, allowing the treats to be slowly released and extending play time. By keeping your dog engaged with treat and toy combinations, these toys prevent boredom and redirect destructive chewing. Best for dogs 10-50 lb.